Hey fashion friends! Hope you had a wonderful memorial day weekend and we’re able to take some time off to relax! 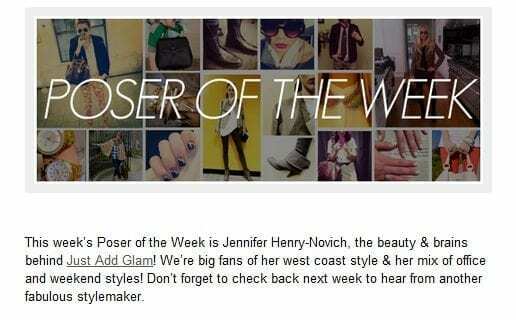 I recently was asked by Pose.com to be their Poser of the Week and do a little Q&A with them. It was a lot of fun working with the Pose team and I wanted to share the interview with you, including beauty tips, favorite restaurants and my style crushes! Click to view the interview here! Hope you enjoy it!